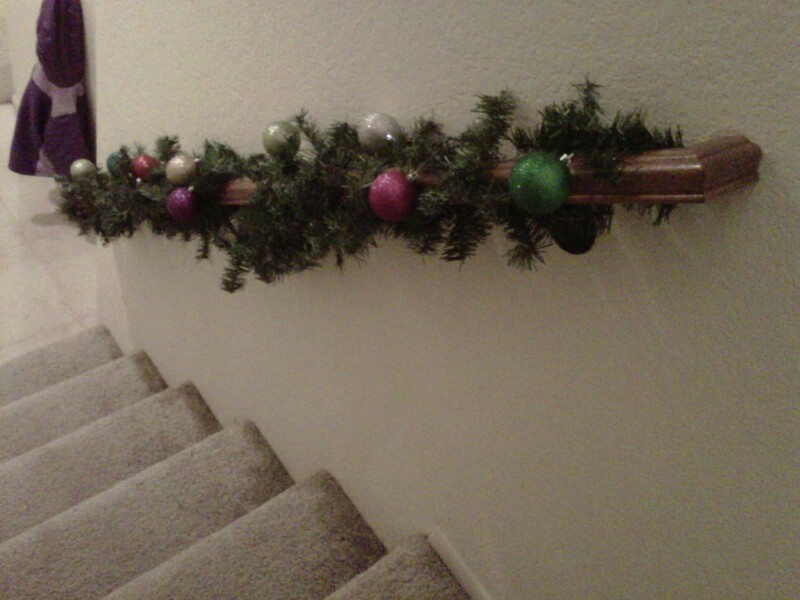 I LOVE Christmas! 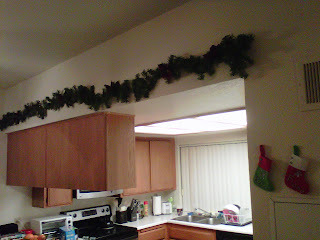 Have I mentioned this? 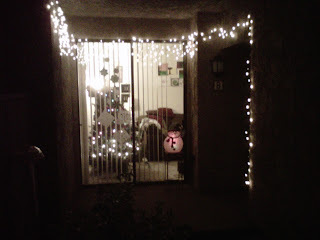 I love all the garlands I put up, and the little outside lights! 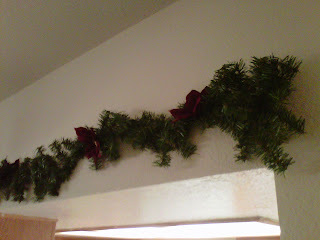 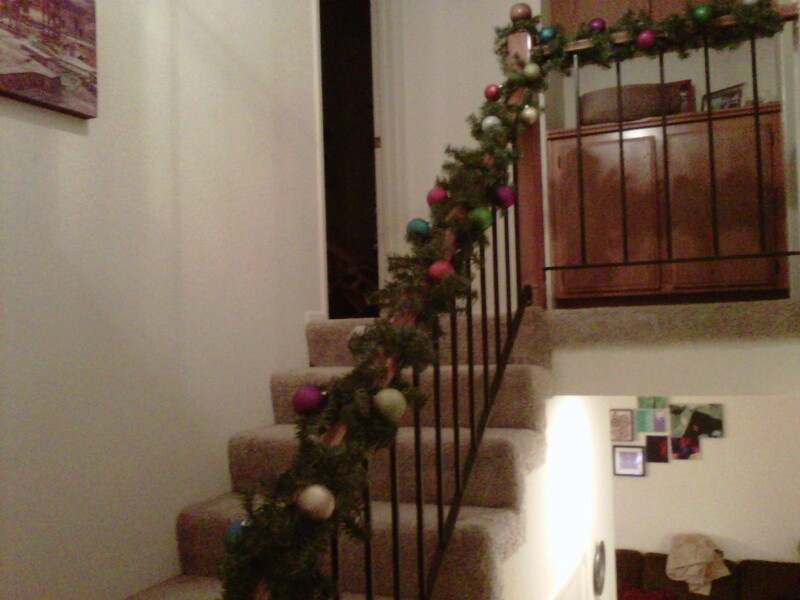 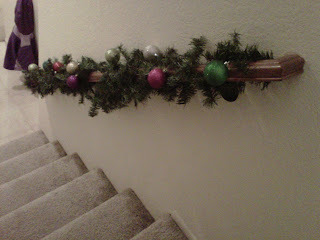 I bought cheap, plain, artificial garlands at Walmart, and glitter ornaments from the Target $1 bin (where I live), and made these festive garlands to go up the staircase banister. View of everything from outside!